Browning Street Studios have been producing events in Brisbane since 2008. We’re famous for our unique and creative space activation and our professional approach to events. We value the diversity of people, artforms and genres involved in and showcased at Browning Street events. The Box is an Artist-Run Initiative in Vulture Street, West End (The Old Box Vintage Shop). The space houses two studios and gallery spaces. NB. 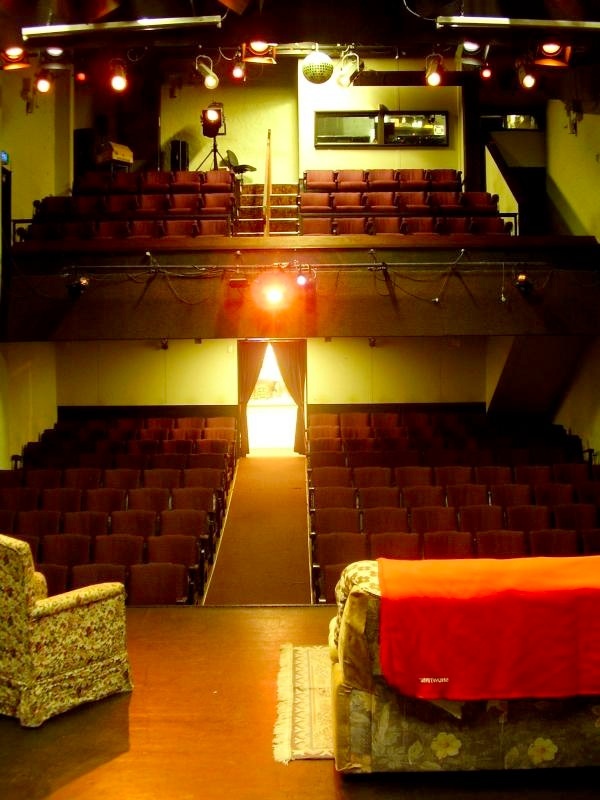 Our old performance space at no. 11 Browning Street is under new management. Visit http://www.facebook.com/waitingroombrisbane for more info. Read out more about these spaces below. > A beautiful 80-year old theatre that seats 150. Full theatre lighting set-up, professional sound setup. Price from $800.00. There is a licensed bar at this venue however the theatre is all ages. > Turnstyle is a collectively run social space that provides resources for people and groups working on projects that benefit the community and/or for activist social change. The resources of the space include a meeting, presentation and event space; a library; a bicycle workshop; a home brew kitchen; a cob oven bakery; and art and prop-making space. Turnstyle is located underneath two neighbouring homes who co-operate via a common living vision: sharing space, resources, effort and values. my name is dan mccabe and i have spent many nights in the lovely browning st studios listening to music and enjoying art! I am with a bunch of students who would like to know if browning st is for hire for a one night event between 25th of May to the 5th of June to put on a lovely art show (similar to that of paper walls in 2010). we would love to know as soon as possible if the space will be available as we have lots of art to make!